Running a water park in Pennsylvania means that you will only be open a couple of months out of the year. You certainly will be closed after September and won’t open again until maybe June. This means that you will need to get the most of the few months per year you are operational. The best way to make this happen is by ensuring all of the swimming pools at your water park are in excellent condition. The team from Coronado’s Pool Renovations, Inc is here to discuss the most common water parks swimming pool renovations that we handle for our clients. The most common project we work on at water parks is the resurfacing of the pools. A pool’s surface will not last forever, which means every so often it will need to be replaced. Most pool surfaces can be replaced within a day or two, depending on the condition of the surface. Either way, make sure all the pools at your water park have excellent surfaces. It’s not uncommon for our team to conduct tile repair and replacement at pools in water parks all over Pennsylvania and the tri-state area. Tiles will fall off from time to time. They also might crack. You don’t want water getting behind the tiles as this can do a lot more damage to the pool’s walls. We can repair and replace all types of tiles for the pools at your water park. 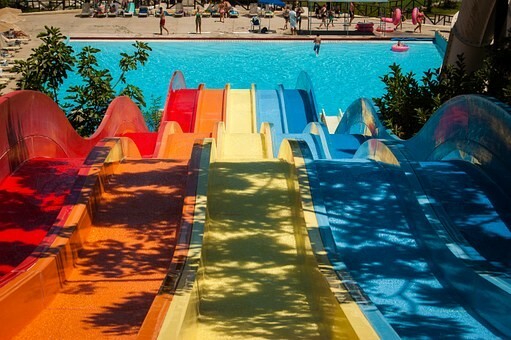 Do any of the pools at your water park have slides? If so, our team can repair the slides if they should break. We can also install new slides if the ones you have are too old. Not sure if the slides are in good condition? Don’t fret; we can inspect all of the slides at your water park to make sure they are safe for guests. Has the plaster on the pools at your water park worn down? If so, it’s time to have the pools replastered. Our team is experienced with all types and sizes of pools. Replastering your water park pools will be an easy project that can be completed in a matter of hours. Do you require water parks swimming pool renovations? If so, it’s time that you call the team at Coronado’s Pool Renovations, Inc to schedule an appointment for repair. Call the office at 215-723-5885 to speak with an experienced member of our team.